These are commonly referred to as ‘train track’ braces. They are permanently fixed to the teeth using a dental glue and cannot be removed by the patient. They are adjusted regularly and are usually in place for approximately 12 -18 months depending on the complexity of treatment and how well the patient cares for the brace. Metal – These consist of individual metal pads glued to each tooth then joined together by a metal wire which is changed for stronger wires during treatment. These are held in place by small elastic circles which can be coloured. We have been providing Braces to hundreds of happy clients who are enjoying a more confident smile now. Call us now to see if you are suitable for Braces. Age – There’s no set “best” age to get braces. For most kids, the best time for braces is generally between ages 10 and 14, when a child’s mouth and head are still growing and the permanent teeth are erupting. The exact time depends on growth and on how quickly a child’s adult teeth come in. 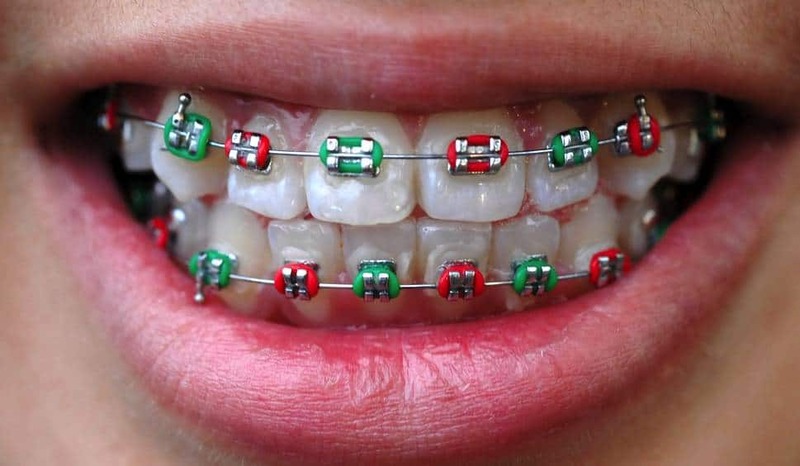 However, braces can still be effective in older teenagers and adults. Treatment Length – On average, most kids wear braces for 1 to 3 years, but this can vary greatly for each person based on growth and the severity of the problem. It also depends on the cooperation of the patient, including maintaining good oral hygiene, wearing auxiliaries such as rubber bands as directed, avoiding damaging food, and keeping all of their follow-up appointments. Thank you for all the care we have received over the last few years. You have been very kind and helpful and our son now has a lovely smile! !